Caring for aging loved ones creates challenges for individual caregivers and for the organizations who employ them. In 2017 Eldercare issues cost companies over $36 BILLION in lost productivity, and billions more were unnecessarily spent mitigating avoidable issues. 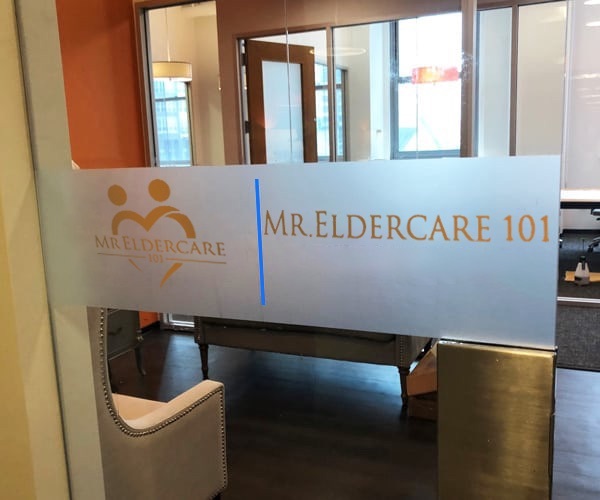 Mr. Eldercare 101’s solutions & services help working caregivers stay engaged and focused so organizations can remain productive and profitable. At Mr. Eldercare 101 we “Care For The Caregivers”. We do that by providing accurate and actionable information to caregivers when they need it; where they need it; and how they need it. Our live presentations (Keynotes, Seminars, and Workshops) are supplemented by our online educational programs- which are accessible 24 x7 via the internet and mobile devices. For most caregivers, their feelings of pride exist right along-side their conflicting emotions of fear and anxiety. Add depression and exhaustion to the mix and what results is an individual trying to provide care while struggling with their own significant issues. Most are happy to “give-back”, but there is also a sizable percentage of caregivers who report feeling forced into caring for an aging family member; which magnifies their struggles and stress. With this as the backdrop it’s easy to understand why the average caregiver’s productivity decreases by 18.5%, and the COMPANY PAID portion of their health care premiums increases by almost 10%. 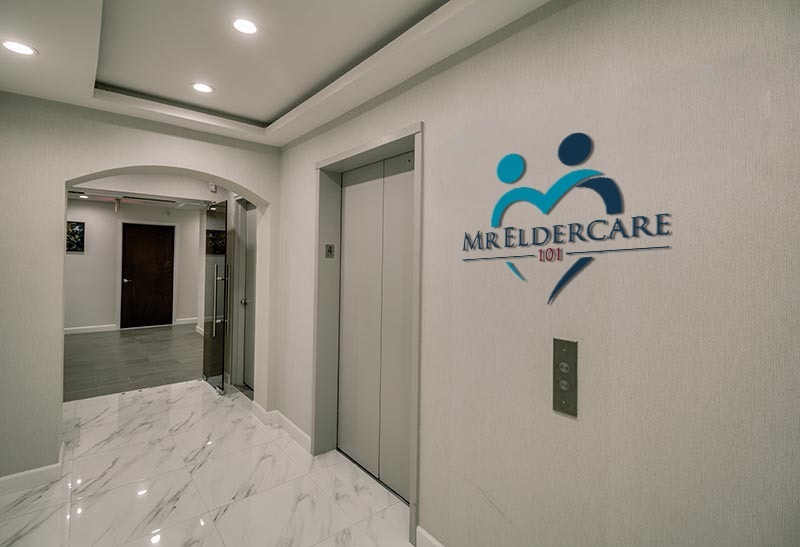 At Mr. Eldercare 101 we know the benefits and challenges of providing care to aging loved ones. We know it because we’re current and former caregivers. We know that while every situation is unique, there are also many things they all have in common. For example, we know that while every caregiver’s journey is particular to them; the feeling of being alone and/or unprepared to provide care is almost universal. We also know the single most common request of ALL CAREGIVERS is the request for more eldercare related information. In fact, at 84%, the “request for more information” is the single most common request made by caregivers. At Mr. Eldercare 101 we provide the requested information that answers their questions. We can do this because we’ve been where they are. We have been, and are caregivers to aging family members. We can anticipate their unasked questions because we’ve already asked them ourselves, and answered them for ourselves and others. Maybe most importantly, we know that caregiver challenges are multi-faceted and fall into four (4) broad categories. They are: health (physical & mental); career; financial; and managing other relationships. 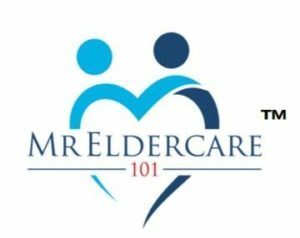 Mr. Eldercare 101 presentations, programs and educational materials provide solutions to the challenges in all four (4) groups. By addressing each category individually and collectively we care for the “whole” caregiver. Said a different way, by creating actionable solutions that recognize the multi-faceted challenges of caring for aging adults, we focus on the things that help caregivers function and improve their overall well-being. 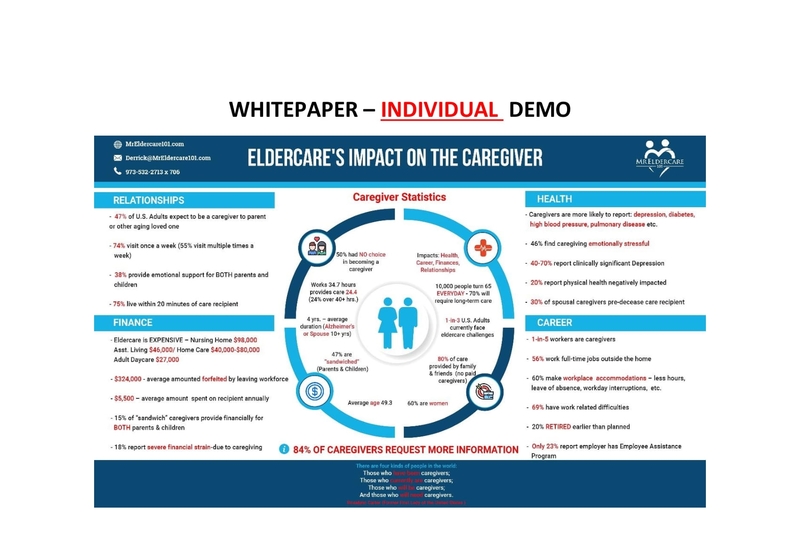 In short, our approach emphasizing comprehensive “caring for the caregiver” is “ELDERCARE WELLNESS” for caregivers. Mr. McDaniel speaks to real caregiver issues. Because he was a caregiver-he gets it.